Have you ever experienced discomfort wearing wool against your skin? 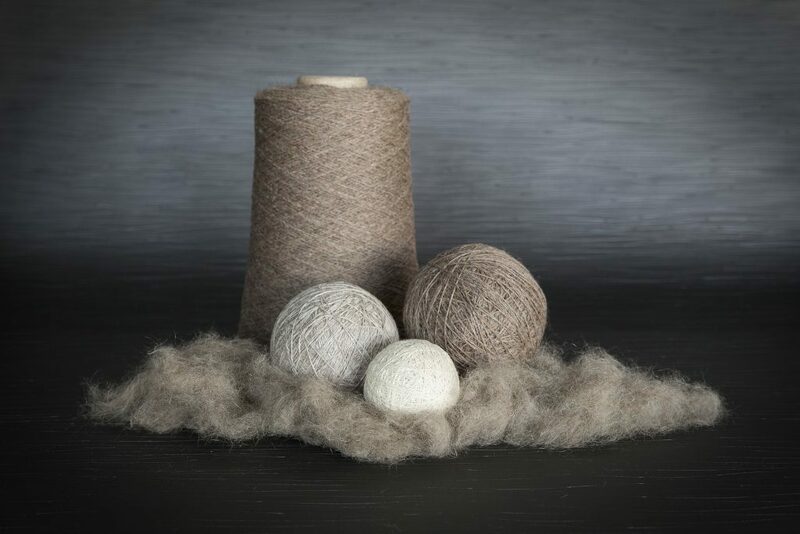 There are many myths and theories when it comes to wool allergies, however, research has concluded wool is not an allergen. Choosing high quality, natural fibres with a low micron count is better for people with sensitive skin. It is possible to get natural fabrics that are softer than man made acrylic fabrics. As well as being more breathable and odor resistant, these fabrics are better for the environment and even promote health benefits such as improved sleeping patterns and eczema relief. It is likely that people showing a skin sensitivity to coarse wool garments, will also find other rough fabrics uncomfortable to wear. High quality natural fibres and skilled craftsmanship can create a softer fabric, providing comfort for highly sensitive wearers. If Wool isn’t an allergen, why does it make me itch? Modern studies are debunking the myths surrounding wool allergens and the effects of wool on the skin. 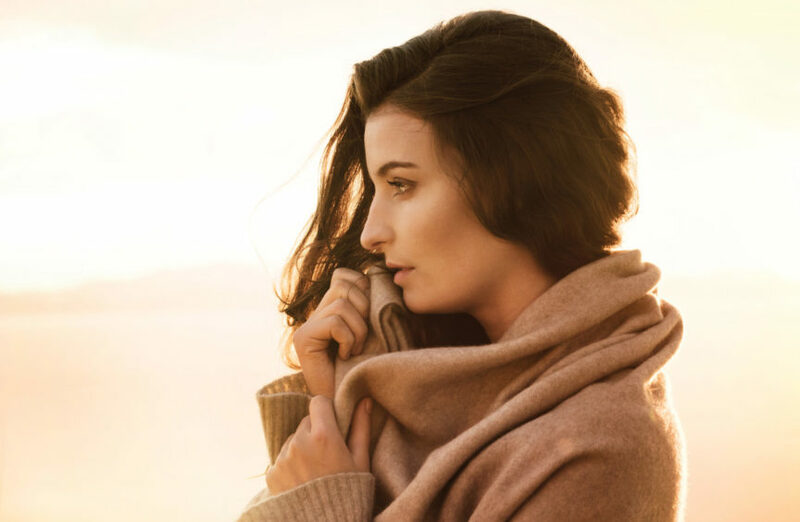 The Woolmark company has undertaken, with a team of allergists, immunologists and dermatologists, a study looking at reports from the last 100 years claiming that wool can cause allergy, to check the validity of the findings. The aim was to examine these past reports with consideration to modern fibre processing techniques. Although some of the reports did state wool was an allergen, these reports were invalid because of the limitations of the studies. The group of multi-disciplinary specialists concluded that any irritation made by wool was due to coarse fibres protruding out of the fabric, abrading the skin as opposed to an allergy to the fibre itself. Although it is possible to be allergic to wool alcohols, or lanolin, which is found naturally in sheep wool and is removed from the fibre before being made into yarn and fabrics. People with an allergy to lanolin can still wear wool that is processed using modern day practices. Lanolin can be found in many cosmetics, pharmaceuticals and has some industrial uses. A micron is the unit of measurement commonly used to reference the diameter of a fibre. One micron is a millionth of a metre. Fibres with a low micron count will be softer to touch and less likely to infer a “prickle factor”. Prickle factor refers to the feeling and abrasion of the individual fibres pushing into the skin. Weak fibres may break in the manufacturing process, increasing the number of ends sticking up into the wearer’s skin, causing discomfort. Woolmark recommends next to skin fibres to be less than 24 microns in diameter, to eliminate any discomfort. Common natural fibres well suited to those with sensitive skin include silk, cashmere, cotton and fine merino. These fibres can all be sourced with a low micron count, making them soft to the touch. They also have breathability and absorbency in common, making them practical and comfortable for sensitive skin. The absorbent properties of these fibres enables movement of water and sweat away from the skin, lessening the effects of bacterial growth for sufferers of dermological conditions like eczema. Merino in particular is celebrated for its beneficial properties for sensitive skin and babywear compared to other wool types. There is also evidence to suggest fine merino sleepwear and bedding can aid with better sleep patterns. The Woolmark Company describes a study from the University of Sydney, Australia, that indicates wearing Merino combined with Merino bedding can promote faster sleep onset, longer and more efficient sleep in cold, neutral and hot conditions. 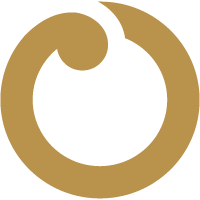 Fine merino has been tested to on babies with eczema with the conclusion that there was an overall improvement in the skin conditions of the babies. The success of these fabrics is due to the fine micron – under 18.5 micron is recommended, and the moisture controlling properties in the make-up of the fibre. This moisture management ensures the skin neither gets too moist or too dry. Arguably one of the most unique fibres, the Brushtail possum fibre has an ultra-fine 1-2 micron tip of the already fine 16 micron fibre. The tapered point makes the fabric extremely soft to touch and eliminates the risk of ‘prickle factor’. New Zealand’s Woolyarns has pioneered incredible blends incorporating this fibre with other noble fibres such as 15.2 micron cashmere, 11 micron silk and 15.5 micron fine merino creating overall softness in the blend. Discover these blends under the luxury brand Perino. The soft burst of possum on the surface of the fabric softens the overall feel and acts as a buffer next to the skin, making it an ideal option for those suffering sensitivity to fabrics. Synthetic fibres are sometimes suggested as an alternative to wool for people with sensitive skin, however it is still possible to get coarse fibres of a higher micron in synthetic fabrics. Consumers opting for synthetic need to look further than the care label to decipher a garment’s suitability for their skin. Additionally, there are major environmental concerns about the number of fibres shed through the laundering of synthetic garments. As these fibres do not biodegrade as readily as natural fibres, they are entering the food chain for humans and other wildlife via the small sea creatures that eat them. ‘Textile contact dermatitis’ describes a reaction or intolerance to next to skin fabrics. This could be caused by chemicals used in the scouring and dyeing of the fibre, spinning of the yarn, construction of the fabric or in the finishing of a garment. It can be a problem for people with a susceptibility to dermatitis and sensitive skin. Due to labelling laws, it is difficult for consumers to determine chemicals on their clothing before trialing them against their skin, and furthermore if they do have a reaction, it is difficult to find out what chemical caused it. Choosing natural fabrics, avoiding chemically finished attributes such as ‘anti-wrinkle’, ‘anti-stat’ and ‘dirt-repellent’, choosing light colours (these will have less dye chemicals used) and sourcing clothing from trusted brands that have information on the chemical use in their production will lessen the chance of allergic reaction. There are international standards to look out for which can help manufacturers and consumers avoid fabrics made with harmful chemicals. REACH is one such regulation from the European Union that was created to protect human health and the environment from hazardous chemicals. Perino by Woolyarns meets REACH standards, ensuring that no hazardous chemicals are used in the production of the Perino collection. Complying with REACH standards shows a company identifies and manages the risks of the substances used in manufacturing. All chemicals must be safe to use in their specific applications and cannot be on the European restricted substance list. Individuals will have differing opinions over the optimum fibres for sensitive skin. Following these guidelines will make clothing more comfortable for the sensitive wearer. Above all, choose high quality fabrics with a low micron – this is of utmost importance regardless if the fabric is made from cotton, wool, cashmere or synthetic fibres. Possum fibre is especially comfortable to wear as it has a tapered tip of only 1-2 microns in diameter. Choose fabrics that have good moisture management properties. This will draw moisture away from the wearer’s skin, helping with comfort as well as lessening the bacteria growth on the skin. This is particularly important for people that have symptoms of eczema or dermatitis. Choose fabrics that have temperature regulating qualities such as wool, helping to regulate body heat in both hot and cold climates. Choose fabrics made with high quality fibres. Strong fibres will not break during the manufacturing of the fabric, meaning less fibre ends sticking up out of the fabric and therefore less of a ‘prickle factor’. Studies are showing that wool is not an allergen and that intolerances are more likely due to abrasive texture than the fact a fibre is wool. More people are turning to Merino wool for babies and children due to it’s softness, warmth and breathability. The Ethical Fashion Forum has compiled a list of harmful chemicals used in textile production and what they do to the body and environment. The article is aimed at fashion brands to aid with vetting textile suppliers and also has useful information for the common consumer.